The Holidays are in full swing… and while the strands of lights, wreaths and decoration exude the warm feeling of Holiday cheer, the ginger bread houses, stuffing, breads, and winter ales can make the festive gatherings a very un-merry time for those with gluten sensitivities and celiac. We don’t want any of our fans left out in the cold. 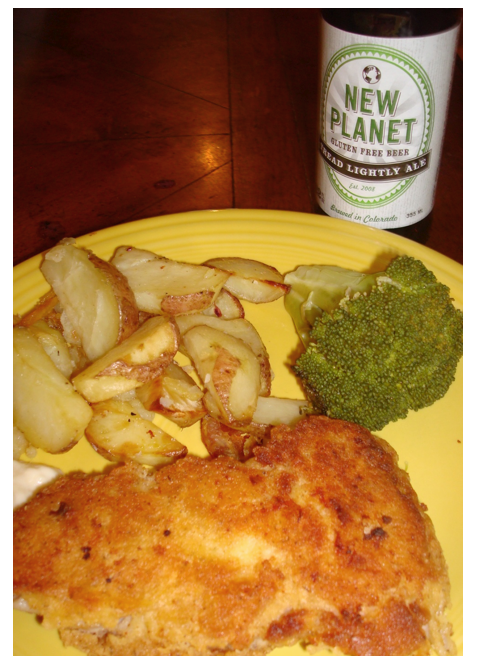 Below are some excellent gluten-free holiday suggestions to compliment an ice cold glass of New Planet Beer. Grease a 9×13 baking pan. In a small container, mix pumpkin puree, cream and cinnamon mixture. On a mandolin, slice potatoes very thin, layer potato, cream mixture, salt and pepper then parmesan. Continue again until pan is full to the top. Bake covered at 350 degrees for 45 minutes (or until soft all the way through), bake uncovered for an additional 10 minutes until golden brown. Let rest at room temperature for 15 minutes before cutting. In a medium rondo pan, place mushrooms, shallots, thyme, garlic, wine, butter and lemon cook on medium heat covered for approx. 15 minutes. The mushrooms should release a good amount of liquid, at this time, add the Swiss chard and simmer for 5-7 minutes covered. Strain and serve. Cut potato gratin into squares, place over braised Swiss chard/mushroom mixture. Garnish with fried onions, shaved Reggiano or fresh vegetables. Ingredients: Preheat the oven to 350 degrees F.
Use a whisk attachment or pastry cutter to cut in the shortening and molasses. The mixture will be sandy and crumbly. Bake in the center of a preheated oven for 8 to 10 minutes. Makes 3 to 4 dozen cookies, depending upon the size of the cut-outs. 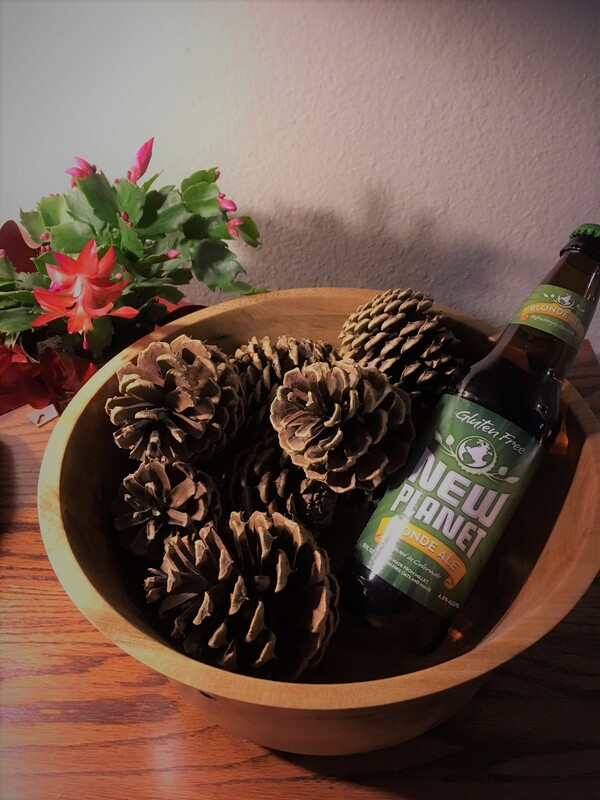 Enjoy and Happy Holidays from New Planet Beer! 10 Ways to Celebrate St. Patrick's Day + Win Swag!